According to the Journal of Clinical Psychology, approximately 50% of the population makes New Year's resolutions, with the focus commonly on weight loss, exercise, stopping smoking, better money management and debt reduction. 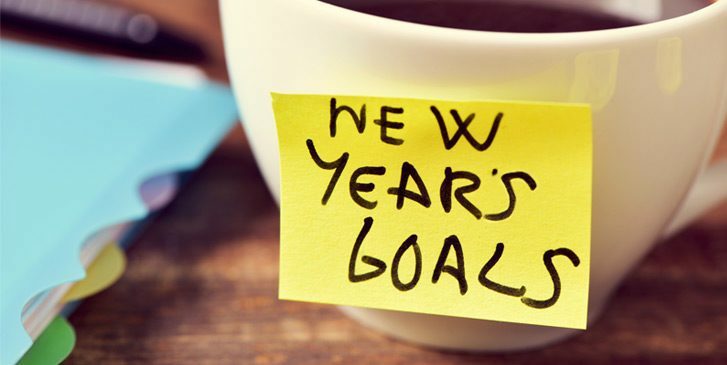 Researchers have determined only 8% of people keep their resolutions. The first two weeks usually go along beautifully, but by February, people are backsliding and by the following December, most people are back where they started, sometimes even further behind. There are many reasons people can’t stick to their resolutions, from setting too many of them to getting derailed by small failures. Setting overly ambitious and restrictive goals ― like quitting sugar when you haven’t already been making small changes to improve your diet ― is one major cause of failure. Taking Anding’s approach, you might decide to only indulge in a burger once a week, or cut your meat portion sizes in half and add more vegetables to your plate instead. 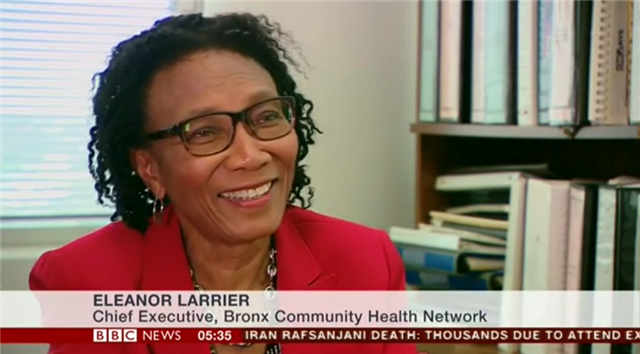 On January 9, chief executive officer Eleanor Larrier was interviewed by BBC World News reporter Michelle Fleury at the Fordham Plaza headquarters for BCHN. 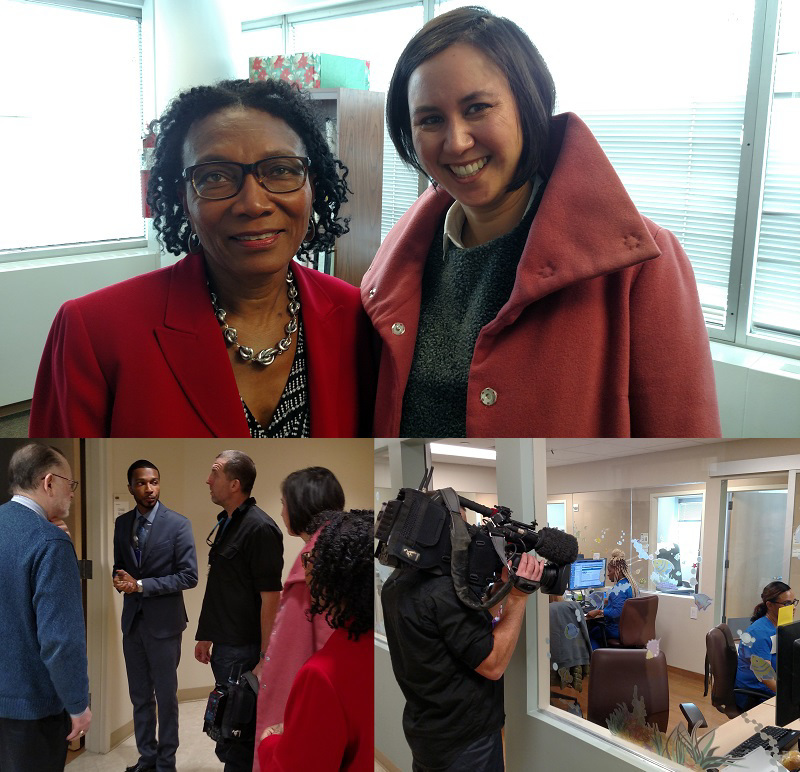 Fleury and her camera crew were then given a tour of Montefiore's Family Health Center by administrator Otis Lewis. Family Health Center has been part of the Bronx Community Health Network for the past 20 years. 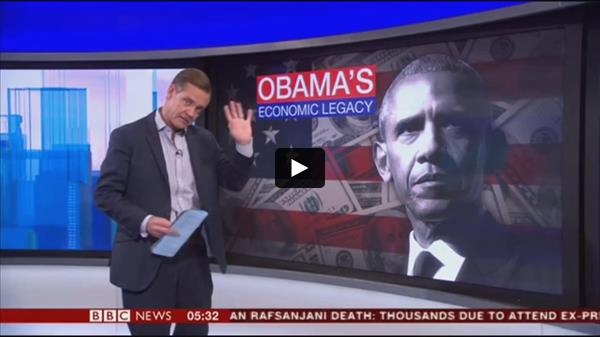 Ms. Larrier was featured in a segment on President Obama's economic legacy that aired January 10 on BBC World New Programs such as Outside Source and World Business Report. "I think his economic legacy has benefited the healthcare sector, which has grown," she explained. "It has brought tremendous increase in technology and innovation." The story focused on the impact of funding from The Recovery Act (aka The Stimulus) in 2009, which helped provide better access and drive improved health outcomes for over 90,000 BCHN patients. A longer version of the segment was featured the next day during the BBC Radio 4 Best of Today program, which is heard around the world. You can listen to it here. 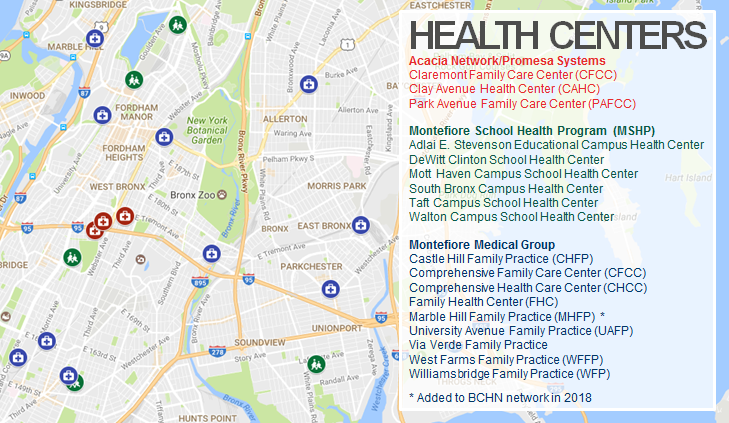 Montefiore's Marble Hill Family Practice is now part of the Bronx Community Health Network, bringing the total number of BCHN health centers to 18. Led by administrator Odelisa Joaquin, Marble Hill Family Practice (5525 Broadway, Bronx, NY 10463) has offered primary and specialty healthcare services since 1995. Look for more on this story in our February newsletter. 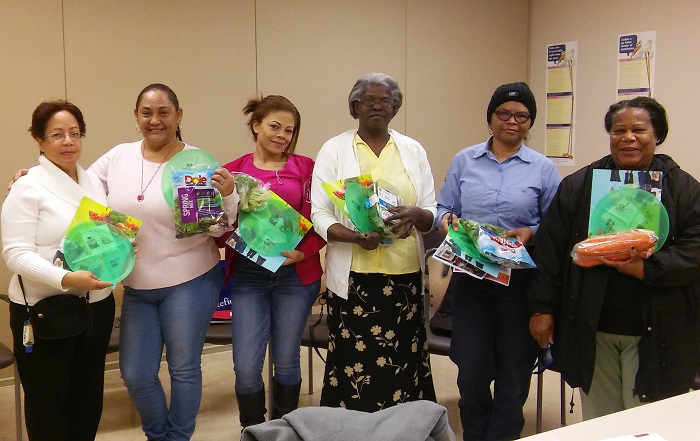 Community health worker Emma Torres is currently leading a Diabetes Prevention Program class at Family Health Center, a pilot program from BCHN and the Montefiore Office of Community and Population Health. The Diabetes Prevention Program is an innovative, clinically proven program being offered to patients at Montefiore health centers. The 16-session group behavior change class helps address the prediabetes epidemic through peer support, healthy eating, increased activity, weight management, and other lifestyle changes. The goal is for participants to reach a 7% decrease in body weight and achieve 150 minutes of physical activity per week. The class recently completed its 10th formal group session out of 16. So far, roughly 7 participants have attended regularly, with a total group weight loss of 48 pounds. The group has developed outstanding cohesion and peer support, some calling each other to discuss challenges, help navigate solutions and applaud each other’s success. Three participants have recently joined a gym, and the group has started tracking and counting their steps using pedometers given in the class. Even the facilitator has begun tracking her steps and there is friendly competition among the group. One participant has reported increasing her steps to 13,000 a day (3,000 steps over the 10,000 step recommendation for active daily lives). On January 5, Chef Wilson led a healthy cooking demonstration for the group (see photo above). 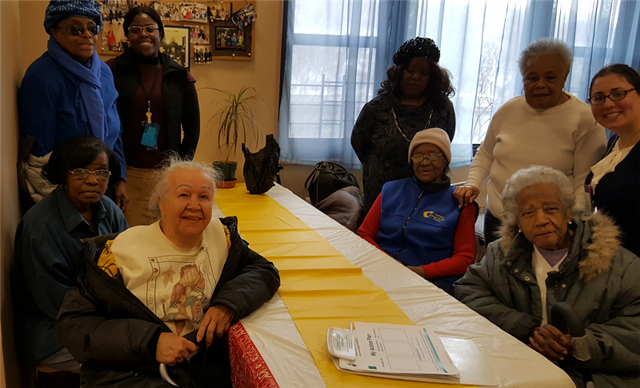 On December 23, health educator Arousiag Markarian and community health worker Michelle Forrester led a Healthy Holiday Eating workshop with the seniors at BronxWorks NORC. On January 26, the Advisory Council Annual Meeting was held at BCHN headquarters in Fordham Plaza. Richard Thomas, Board of Directors Vice President, welcomed attendees, and the Executive Team presented information about the organization to new Advisory Council members. The Council is led by Dr. Katherine S. Lobach, Professor Emerita of Pediatrics at the Albert Einstein College of Medicine. 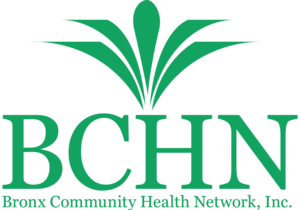 BCHN is planning multiple activities for Heart Month in February (stay tuned!). 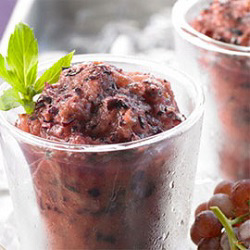 To help kick things off a few days early, check out these healthy recipes from the American Heart Association's Simple Cooking with Heart program. 1. Wash and dry lettuce, then chop or tear into 2 inch pieces and divide into 6 bowls or plates. 4. 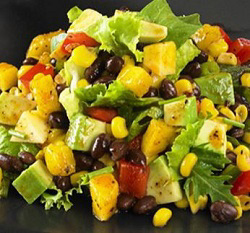 Toss gently to coat and serve over the lettuce and mixed greens. 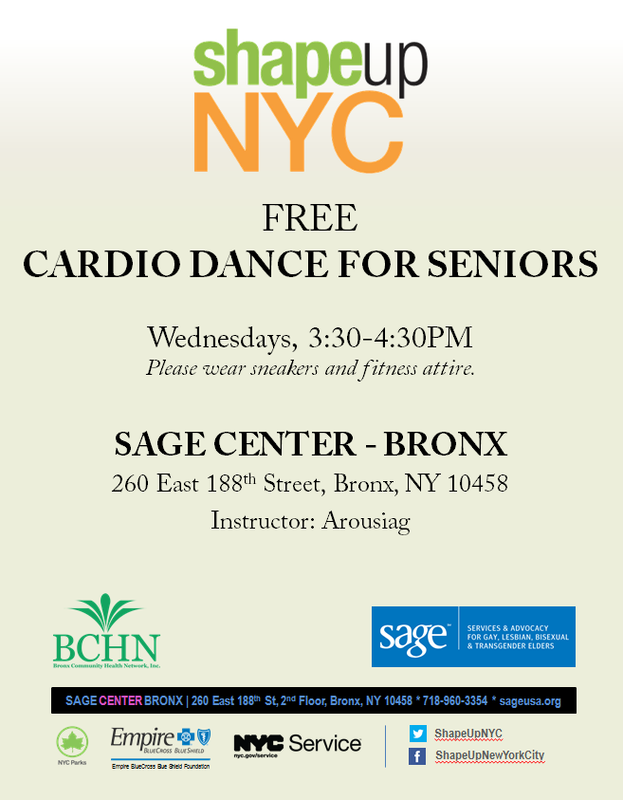 BCHN health educator Arousiag Markarian recently became a certified Shape Up NYC instructor, and is teaching a FREE Cardio Dance for Seniors class on Wednesdays at SAGE Center - Bronx. As part of the ongoing #MBBAGives initiative, the Metropolitan Black Bar Association is hosting a Men’s Suit Drive for ex-offenders recently released from Rikers Island Prison Complex. Statistics show that within 3 years of release, 67% of released prisoners are re-arrested. Our goal is to help recent parolees stay on the right path by making it just a little easier for them to find job opportunities. The drive, which runs through February 17, would not possible without the support of “100 Suits For 100 Men,” a not-for-profit organization committed to reducing prison recidivism by assisting ex-offenders in finding gainful employment. For more information or to find a drop-off location, visit mbbanyc.org.